Two weeks have come and gone since this year’s SOCAP13, and yet my mind is just beginning to catalog all of the themes, the platform launches, the innovations, and the visions for a new financial paradigm. It was a dynamic event, with too many sessions for any of the 1,900+ attendees to feel confident that they weren’t missing an important conversation in the next room. I certainly felt this way, as a part of the content team for the Meaning Track and the inaugural Faith Cohort. Thankfully, twitter has preserved some of the most important moments under the hashtag #SOCAP13 , should you find yourself with a few days to work backwards through all the content. And, if you don’t have a few days, make the time to learn about the conversation on gender lens investing. Perhaps one of the most exciting themes, and the most relevant to the Slow Money community, is the brewing future of democratization in finance. This was a timely conversation given the start of Rule 506(c) of the JOBS Act earlier this week, which changes SEC regulations restricting the open solicitation of accredited investors by startups and funds. This is the first time this will be allowed since the landmark legislation was first enacted in 1933. Yet, the question remains: why are investing options limited to accredited investors? Many at the conference challenged the thinking that only the wealthy are wise enough to invest in companies they believe in. While this in itself will not bring about a democratization of finance, coming rules within the JOBS Act will also allow crowdfunding platforms to offer equity investments from unaccredited investors. SOCAP13 featured a few innovative organizations that aren’t waiting for legislation to pass in order to democratize finance. Jenny Kassan, founder of Cutting Edge Capital, shared her experience championing a wider acceptance of the DPO model. It provides a less expensive and time-consuming regulatory process, the ability to use novel investment models, and the ability to receive capital from unaccredited investors. But don’t let that fool you, working with Cutting Edge Capital or another SEC lawyer is still a must and the process is far from simple. 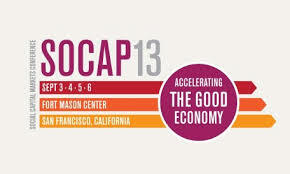 Right before SOCAP13, Cutting Edge Capital released their new online platform for businesses with an active DPO. James Frazier, who works with Natural Investments and helped found a LION in Port Townsend, Washington, is working towards the release of The Local Investing Resource Center, an online resource for those of us ready to jump right in to local investing. With the knowledge he has gained investing over $3 million in his community of 9,000 people, this resource should be invaluable when it officially launches this fall. This is just the beginning of a new financial paradigm that is building, and hopefully we can look forward to a future in which all local economic actors can participate. I will end with an important caution: the SEC regulations were intended to protect people from investments they can’t afford to lose. We who desire to pioneer a good, equitable, and local investing landscape must treat our neighbors’ investments with the utmost care. This means more due diligence, smarter innovation, and all protective measures to make sure the best of a democratized finance can be had by all. 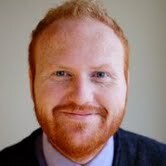 Andrew Rodriguz is a Domestic Market Scout Fellow with Village Capital, a 2014 MBA Candidate with Bainbridge Graduate Institute, and is currently, working with Social Capital Markets. He lives in Portland, OR with his wife and dog, and is involved in organizing neighborhood scale sustainability as a founding steering committee member of the Foster Green EcoDistrict. He is interested in the intersection of faith and impact investing, and how they could come together to generate a resilient local living economy. Next Next post: Join Slow Money to Learn about Investing in Fermented Foods!